One, one very hot hot sauce. Ah ha ha. I LOVE to count! 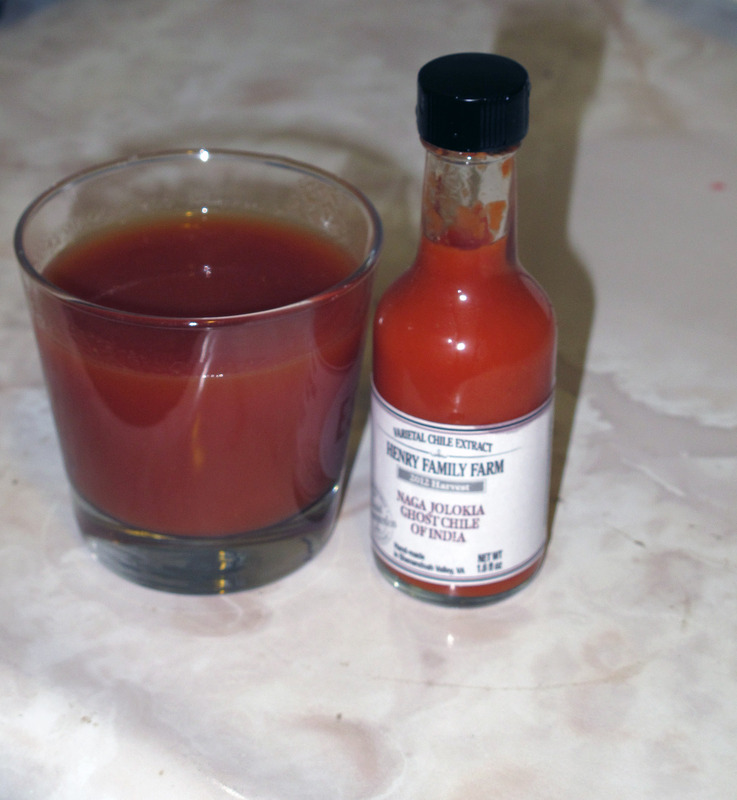 Scary is a good descriptor for Amberyfre’s Scary Bloody Mary Sauce. 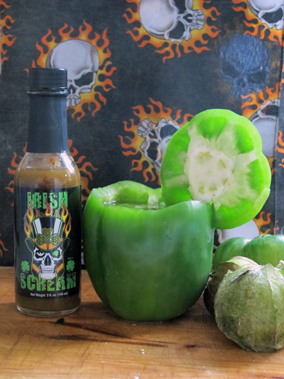 Boldly flavored and seriously hot, this bottled lava is not for the faint hearted. 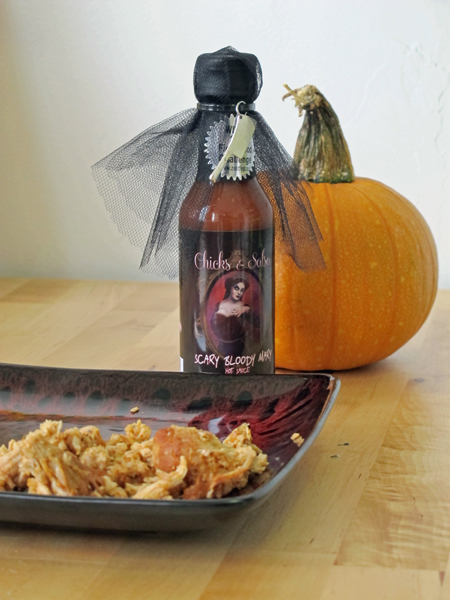 Amber Button decorated the bottles with little veils and these cool, worn-looking little meat cleavers. 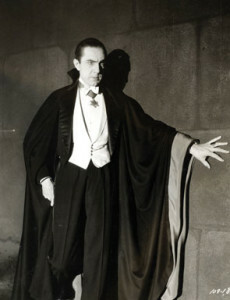 Factor in the Gothic princess on the label, and you’ve got a bottled conversation piece for your Halloween party too. 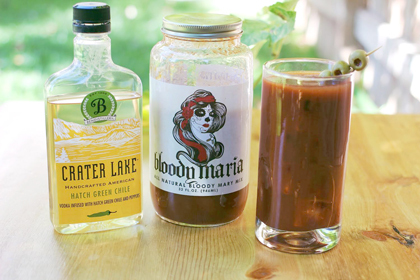 Scary Bloody Mary melds Worsteshire sauce, Carolina Reaper, onion, tomato, brown sugar, vinegar, molasses, and garlic into a hot-blooded potion. That last ingredient may cause extra burning if you’re this guy. Scary Bloody Mary worked really well well for me in a Bloody Mary. Yes, shocking, I know. If you like real serious kick with your drink, though, a quick dash of this blazes up any cocktail. Or shrimp. Or steak. 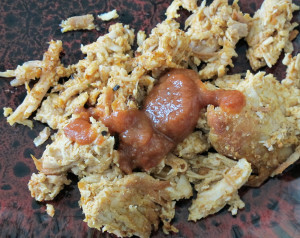 Or pulled pork, which is what I ate it on. 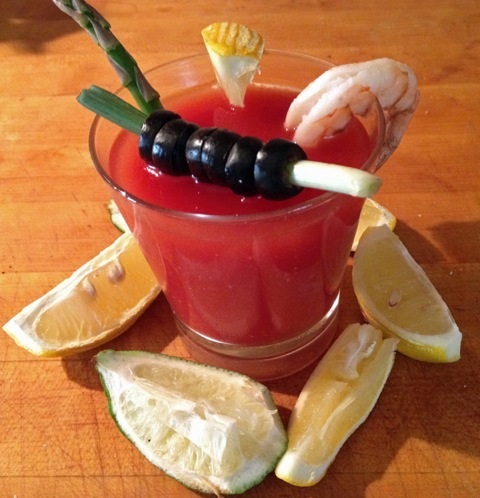 It starts off with a clear Worsteshire flavor before a very hot fire conquers the taste and lingers in your mouth. This sauce is a jumper cable, not a trickle charger. This is about the right ratio of meat to sauce you need to feel the burn.